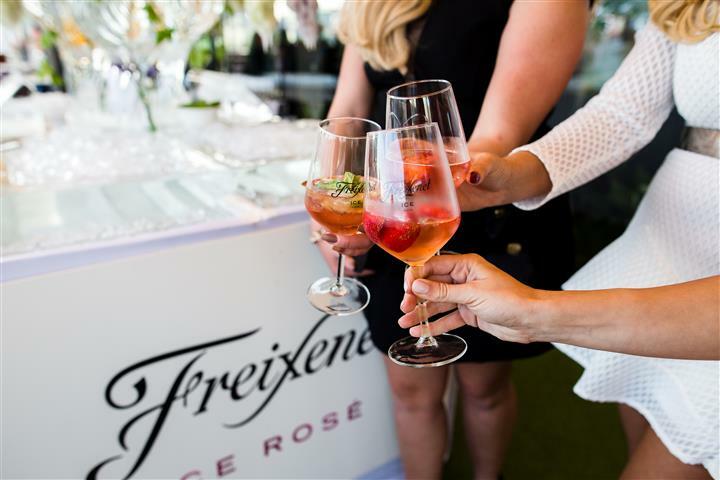 In 2017, Freixenet, a Spanish Cava brand introduced Freixenet ICE Rose to the UK ahead of the summer BBQ season. 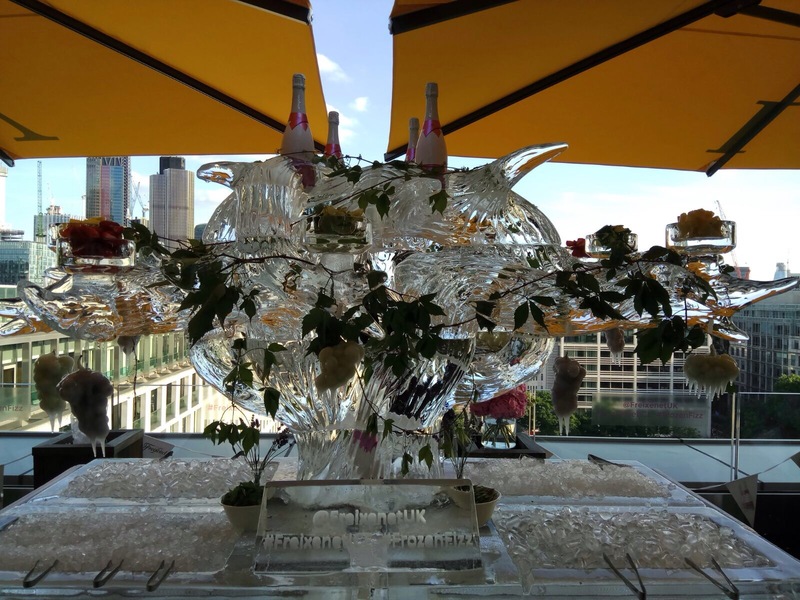 Freixenet ICE Rosé has been specially blended to be enjoyed in a large glass over large ice cubes and to celebrate this, Icebox was commissioned to carve a creative ice piece to provide impact to the brand and display products for ice service. 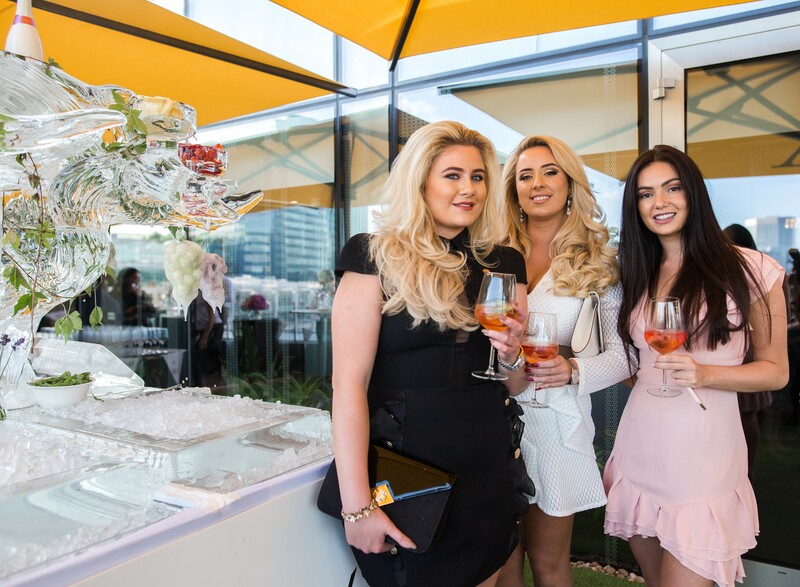 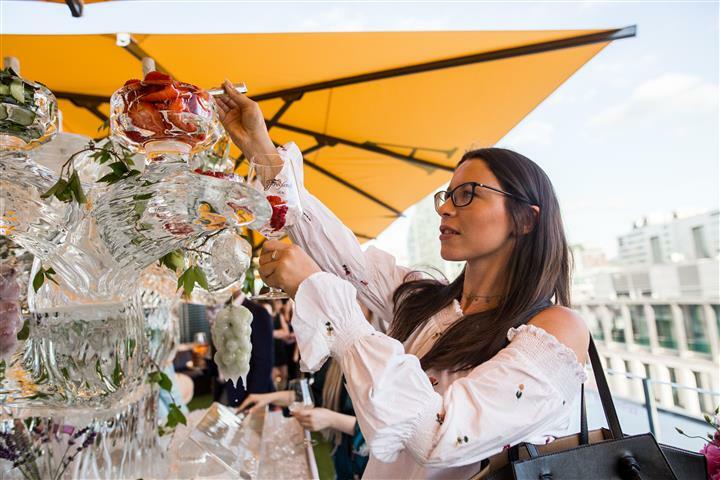 The objective was to launch the new ICE Rose at a summer event and encourage attending social media influencers to post images of the drink to their followers. 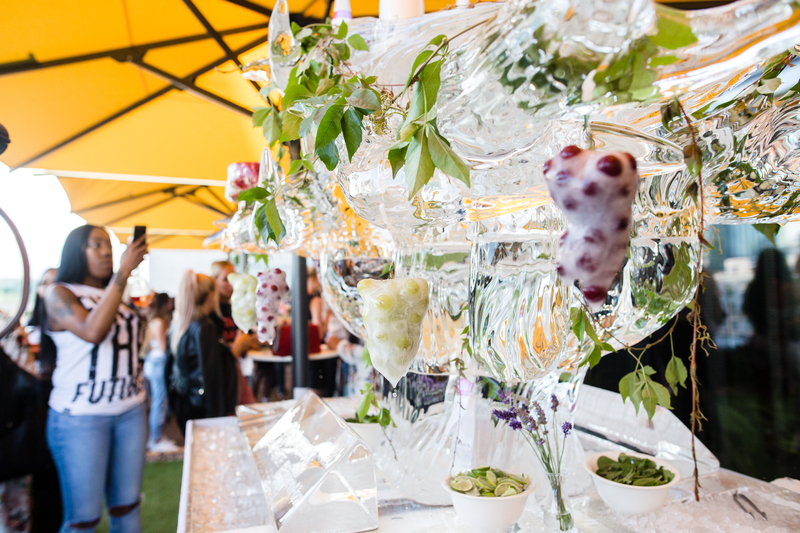 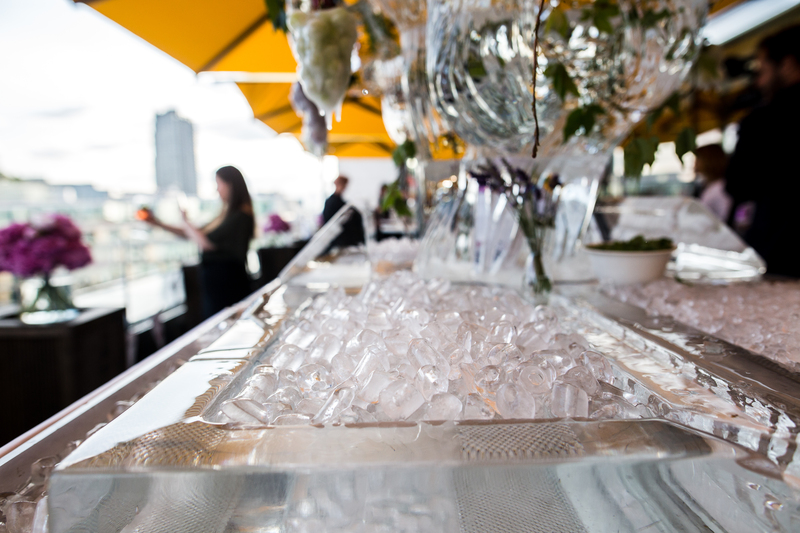 The USP of the product was the serve, of which ice is the main ingredient and therefore it was important that Icebox designed an impressive and interactive centrepiece which dramatised the service, the elements to personalise the drink and most importantly encouraged people share images of it. 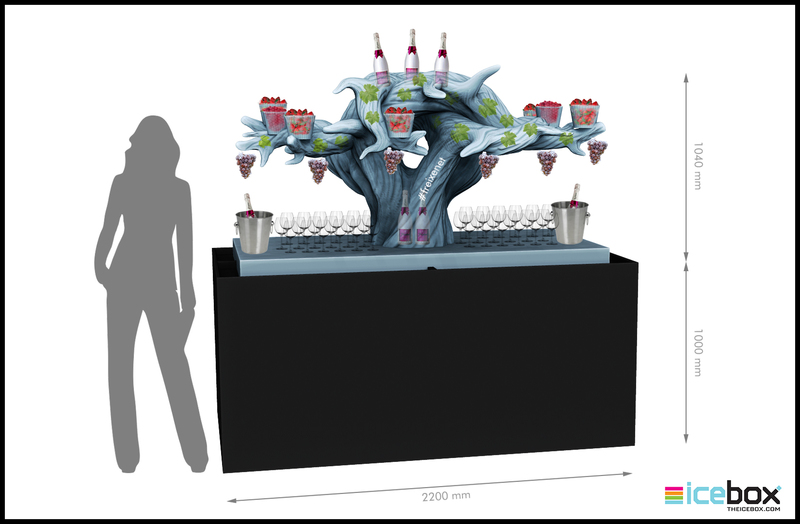 The final ice sculpture design was based on a ‘frozen vineyard’ effect with frozen grapes and vines draped around the large ice tree. 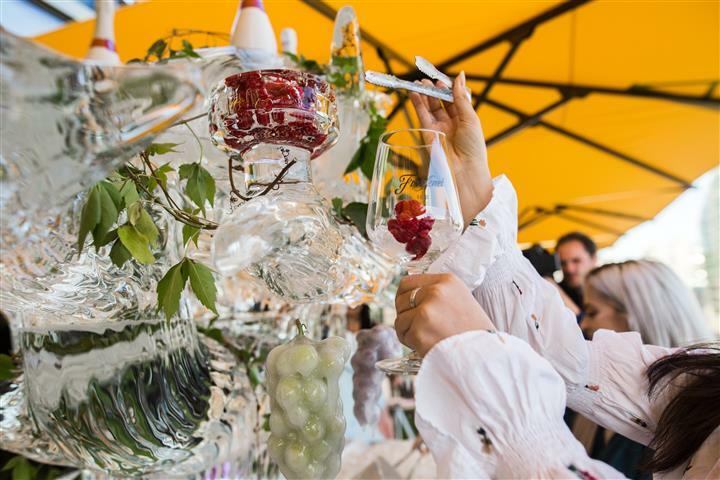 Within the ice sculpture were built in wells which held three types of ice – cubed, crushed and shards, chilled bottles, fresh fruit and garden herb garnishes.